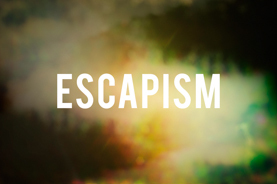 Escapism is a triptych installation. Each part is based around a different facet of the concept of escapism but draws from the same small collection of photographs, field recordings and instrumental performances as their basic material. All three parts of this installation are designed to be presented in exactly the same way. 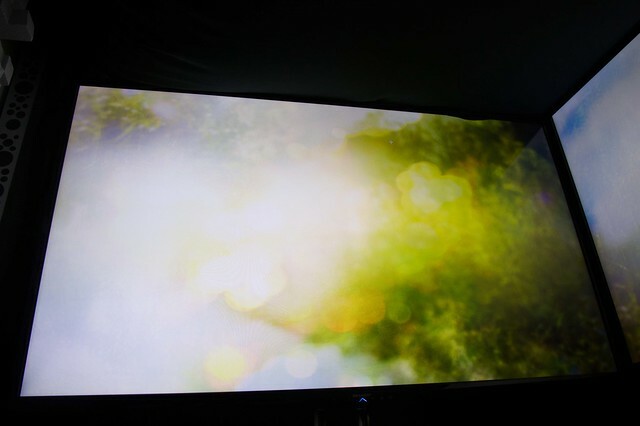 Each individual part consists of two portrait images displayed on two large portrait widescreen TVs and six sound files, the playback of which is determined randomly by a MAX patch. The sound is played through headphones. All these elements are inside three dark crawl spaces located somewhere out of the way. N.B. Due to technical limitations a landscape version of this piece was documented. 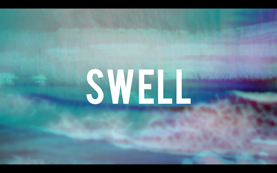 Swell is an audiovisual installation which attempts to capture and evoke a specific place and time with all of its emotional complexities. Sound and video is abstracted through various processes and layered to create something which incorporates not just the recorded audiovisual time and space but the atmosphere and sense of place that I felt at the time. The audio and visual components are designed to loop seamlessly. Playback on each part can be started from any point as the sound and video are not synchronised. The sound is presented on a minimum of four wedge speakers and one subwoofer at extreme volume. The video is presented through a minimum of two projectors and reflected/refracted around the room using clear acrylic and prisms. The arrangement of the visual materials and speakers is dependent on the installation space. 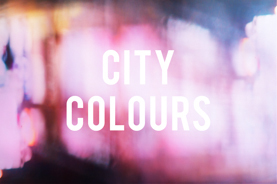 City Colours is a large scale audiovisual installation consisting of over three hours of sound files and five images. It is a deeply personal portrait of a city through atmosphere, place and vivid memory. 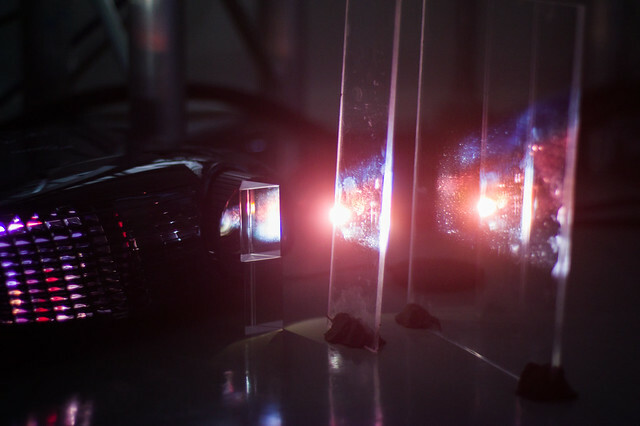 Each image is projected through prisms and clear acrylic to diffract and disperse them around the installation space, allowing them to collide into one another. The sound is split between fifteen files, triggered at random by a MAX patch and played out through a surround system with at least four speakers and one subwoofer at high volumes. 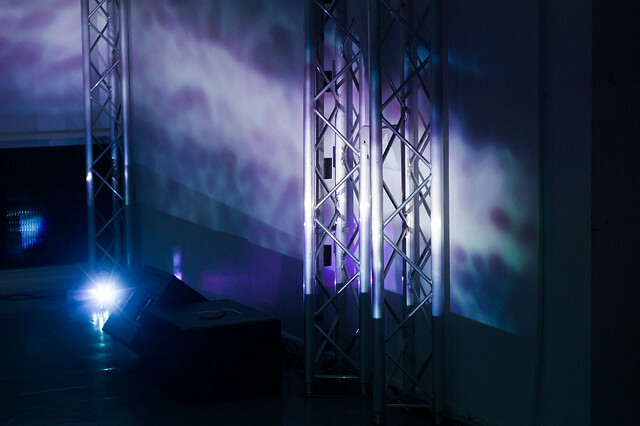 The arrangement of the visual materials and speakers is dependent on the installation space. Waves is an album presented as a photo book with a CD inside the back cover. Each track explores a different aspect of the relationship between sound and still image. This includes atmosphere, memory, concept and the direct relationship between sound and image. Sunrise was my first project which combined sound and photography. It is presented as a photography book with a CD in the back cover, each piece of music corresponding to the photograph/s of the same name in the book. It is a concept E.P. based on the highs and lows of a year in my life. A digital version of Sunrise can be seen/heard here. For Those Who… is the debut album from Tread Softly. Released on Dead Pilot Records in 2008 (DEAD013), the album is a collection of ambient pieces written between 2007 - 2008. It was a limited edition CDR with a run of 100. Dead Pilot Records is now defunct. This album is out of print. Fields… is the debut E.P. from Metonym, a collaboration between Hali and Frazer Merrick (Feeds). It was written in the summer of 2009 with Frazer contributing vocals, acoustic & electric guitar and electronics and Hali contributing vocals, electric guitar and electronics.